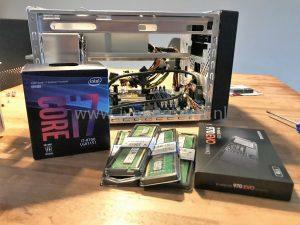 For my home lab I needed a new host that replaces my Intel NUC (link) that act as management host. The hardware resources (CPU and memory) on the NUC were limiting my lab activities. 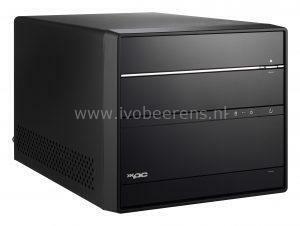 Limited budget (around 1300 euro). 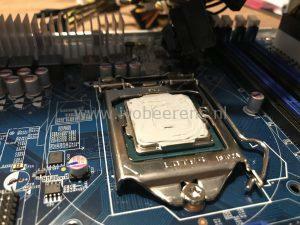 CPU: Socket LGA 1151 v2. Supports 8th and 9th generation Intel Core “Coffee Lake” processors such as Core i9 / i7 / i5 / i3, Pentium or Celeron Shuttle has a I.C.E. 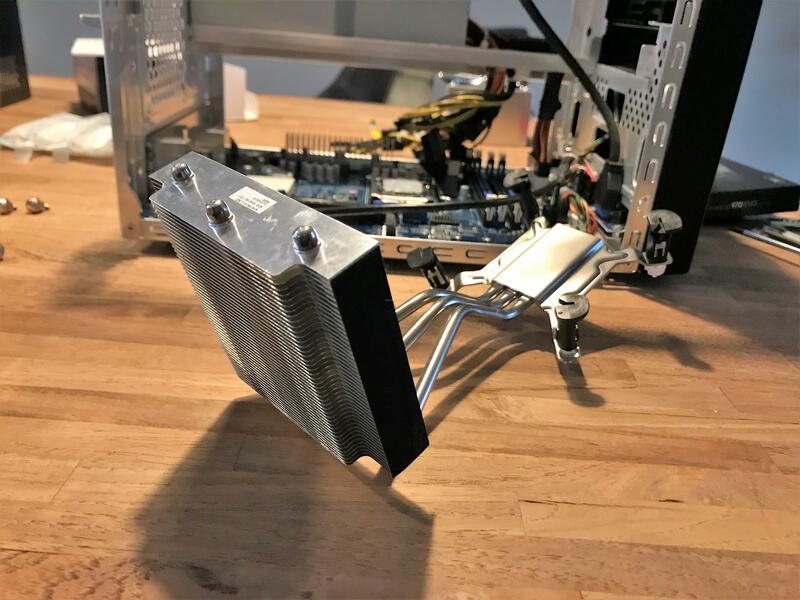 heatpipe cooling system. 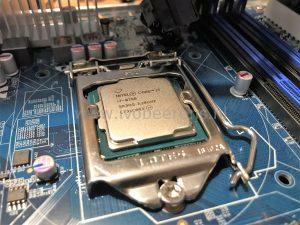 A CPU with a maximum of 95 Watt Thermal Design Power (TDP) is supported. PSU: Integrated 300 Watt (80 PLUS Bronze) in the SH370R6 or 500 Watt (80 PLUS Silver) in the SH370R6 plus version. 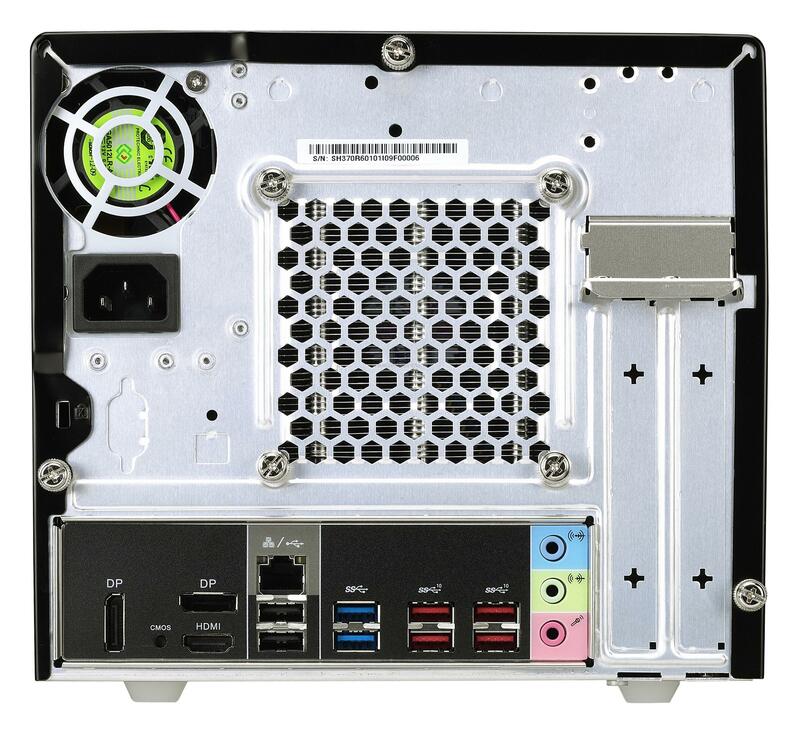 The Shuttle SH370R6 plus has a 500 W Power supply so a GPU can be added if needed. For now I will use the onboard GPU. 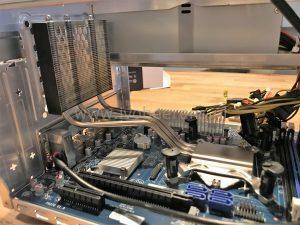 There is one Intel Gigabit I211 NIC onboard. I will use both slots with spare sparts, one slot for a Intel Gigabit NIC and the other slot for an extra M.2 slot. In the future I can change the 1 Gigabit NIC for a 10 Gigabit NIC for example. 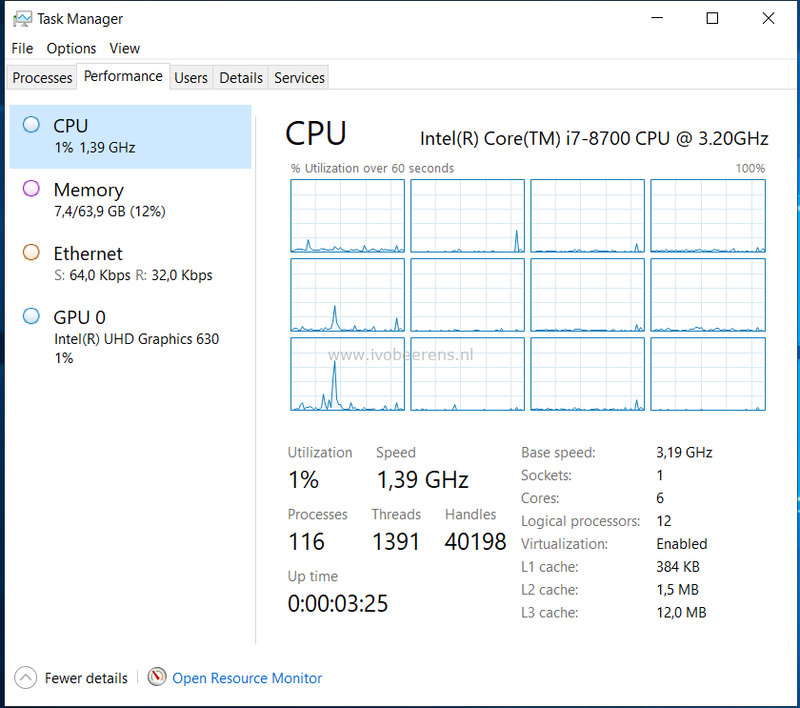 As CPU i decided to use an Intel Core i7 8700 8th generation Intel Core “Coffee Lake” processor with 6 cores and 12 threads. 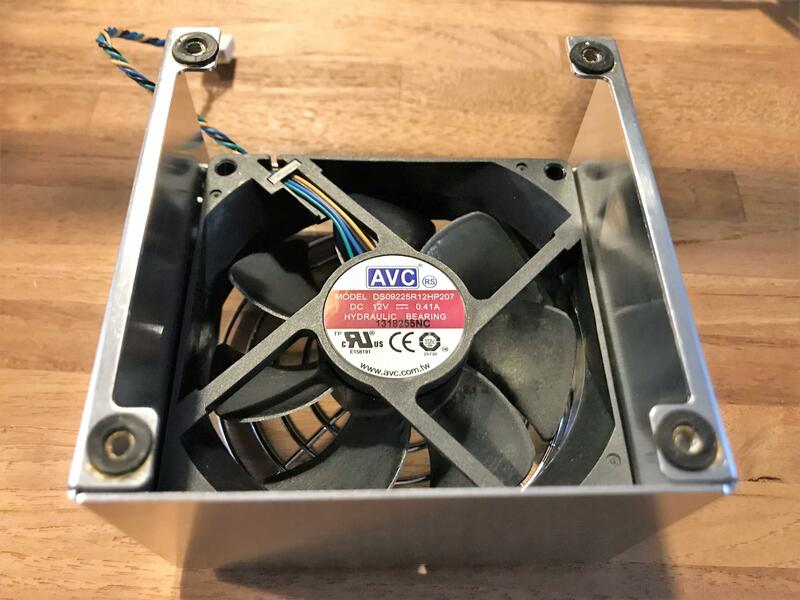 It has a Thermal Design Power (TDP) of 65 W. The decision was based on pricing, horse power and power consumption. The maximum memory the Shuttle can handle is 64 GB. This is very unique for a barebone system on the moment. There a 4 DIMM slots for 4 x 16 GB. I used Kingston ValueRAM KVR26N19D8/16 that is not on the Shuttle hardware compatibility list (*1) but can be found in the Kingston compatibility list. The Shuttle has one M.2 2280 slot. The Samsung EVO 970 1 TB NVMe SSD will be used as local datastore for storing VMs. Besides the SSD I use an existing QNAP NAS with a NFS connection to this host. ESXi will be installed in the USB stick. (*1) Shuttle has a hardware compatibility list available (link). 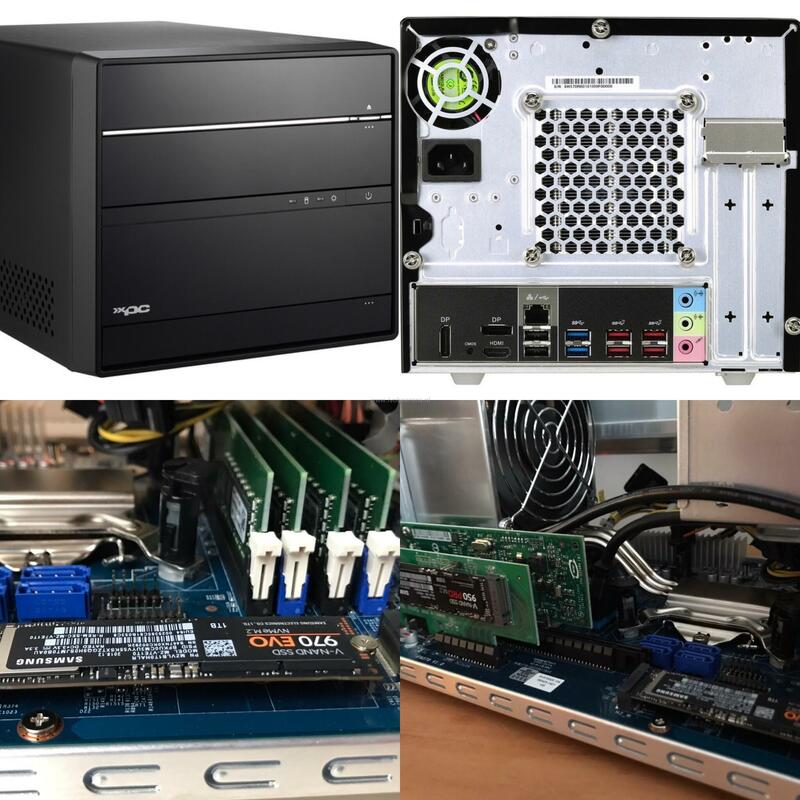 Once all the hardware parts were delivered it was time to build the Shuttle XPC SH370R6 Plus. Shuttle provides step by step documentation that describes every step. Open the barebone Shuttle by removing 3 screws on the back and the move the aluminium case away. 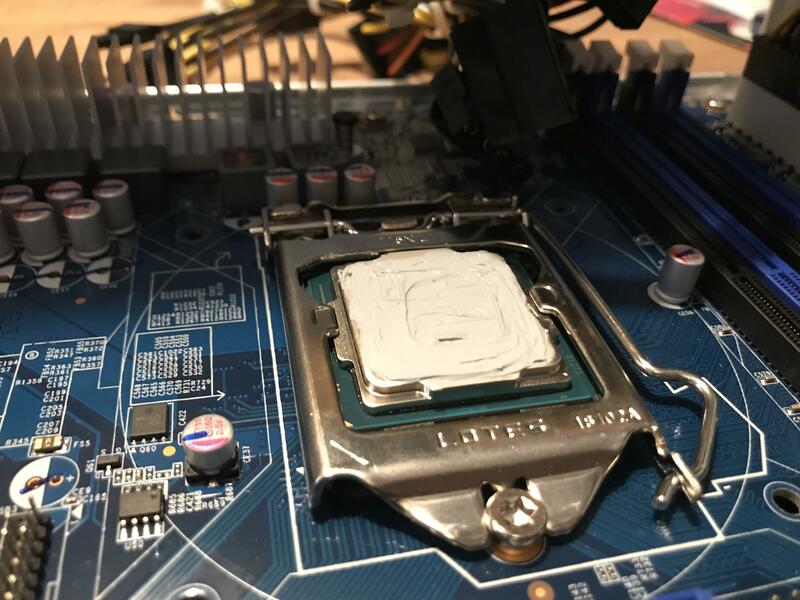 Install the Intel CPU and add some thermal paste. Shuttle has a own Integrated Cooling Engine (I.C.E.) heatpipe technology that delivers cooling for the CPU with a 92 mm fan. Mount the I.C.E. heatpipe cooler on the CPU and attach the fan. The Shuttle supports up to 64 GB DDR4 memory. Insert the 4 memory modules in the DIMM slots. Attach the Samsung EVO 970 1 TB NVMe SSD in the M.2 2280 slot. Intel Gigabit NIC (dedicated for my storage connection to my QNAP NAS). PCIe to M.2 adapter (Lycom DT-120 M.2 PCIe to PCIe 3.0 x4 Adapter) and installed a Samsung 950 Pro 512 GB M.2 SSD. 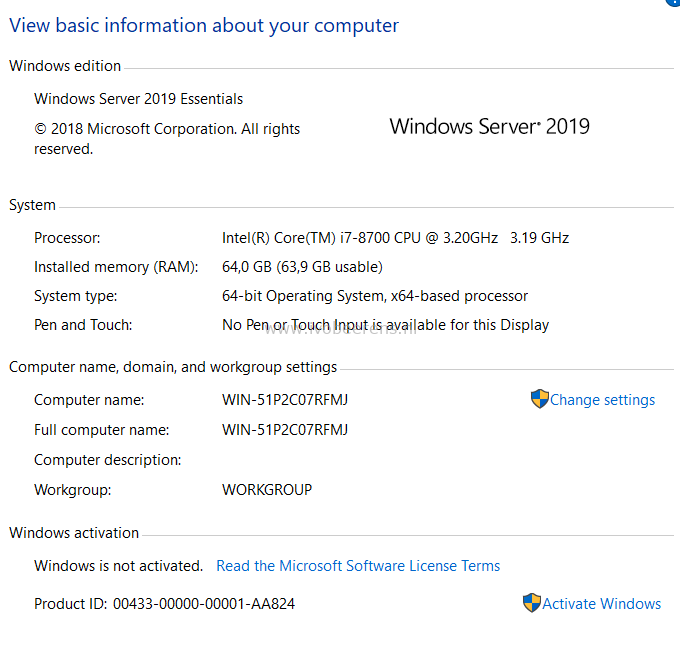 As test I installed Windows Server 2019 on the Samsung EVO 970 1 TB. The installation of Windows Server 2019 is finished within a couple of minutes. 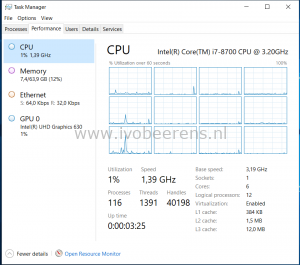 The onboard Intel Gigabit I211 NIC is not recognized by the Windows. The Intel driver is only for Windows 10 and won’t install on a server OSes by default. This issue is there for a long time (see link). Intel does not want that desktop NICs are being used on Windows Server OSes. With some hacking (link) it is possible to enable the NIC. 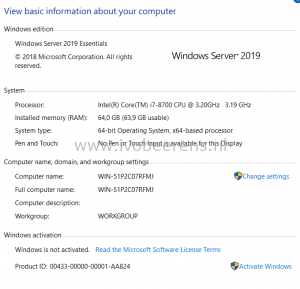 The add-on Intel Gigabit NIC is recognized by default in Windows Server 2019. Enabled the Hyper-V role and installed some VMs without problems. The user experience is fast, very fast! After the Windows Server 2019 test, it was time to create an USB stick (link) and install VMware ESXi 6.7 U1. The installation is a piece of cake. The onboard Intel Gigabit I211 NIC is recognized by ESXi and will be used for management and VM traffic in my config. The add-on Intel 1 GbE NIC is configured as NFS connection to my existing QNAP NAS. After some initial configuration (network and storage connection, NTP, and licensing) I migrated all the VMs from my old NUC to the new Shuttle. Most VMs are placed on the NVMe SSDs. I really like to performance boost of the VMs when they are running on the new hardware. When the load increases on the Shuttle the fan will make more noise (Smart FAN mode ). This can be annoying when you’re in the same room. In the BIOS you can tweak the FAN speed. For me this is not a problem because i’ll have a separate room were my home lab servers resides. The onboard SATA controller is recognized by ESXi. 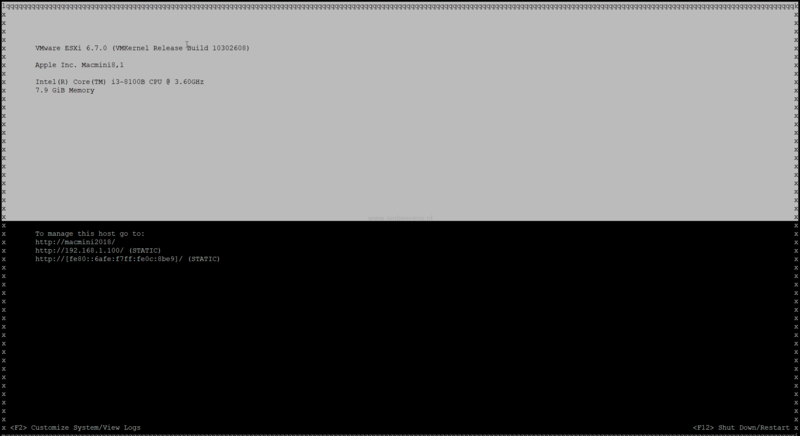 I attached two single SSDs to the controller and created a VMFS-6 partition. By adding a PCIe to M.2 adapter and a 10 Gigabit NIC it’s possible (not tested yet) to create a All Flash NVMe vSAN node. I added a PCIe to M.2 adapter and added a NVMe SSD and having two NVMe SSDs that are recognized by ESXi (see storage screenshot above). When the Shuttle is booted with ESXi and the two add-on cards are added without any VMs powered-on, the power consumption is around 20-24 W. The power consumption is depending on the amount resources that are being used. 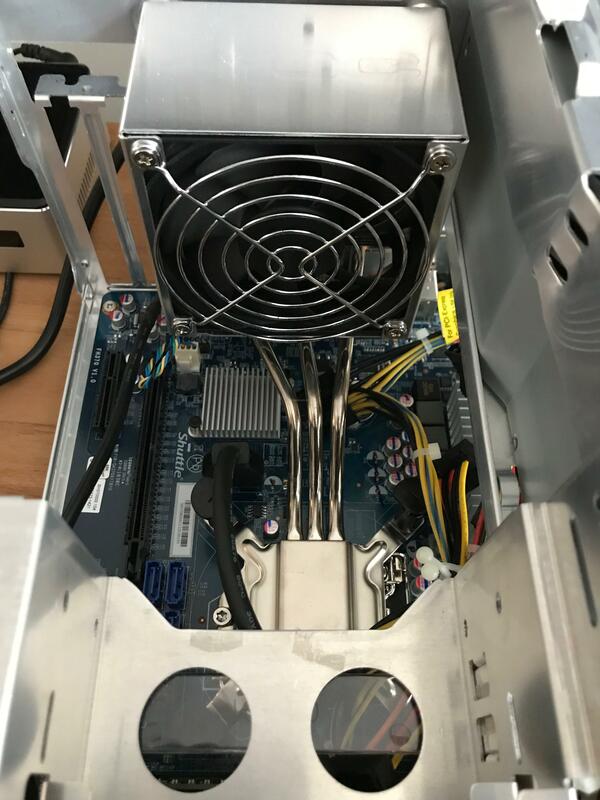 In my configuration, running 10 VMs that are using between 35 and 70 W.
Depending on your requirements (such as budget) you can customize the SH370R6 Plus for you’re needs. The hardware installation was easy and without problems. The documentation that Shuttle provides is very clear. There two version of the Shuttle: the SH370R6 and the SH370R6 Plus. 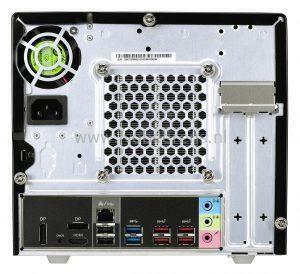 The PSU is the difference, the plus version has a 500 W PSU (for adding a GPU). The Shuttle barebone has a lightweight aluminium case (33.2 x 21.5 x 19 cm). This is a lot bigger than a Intel NUC but gives more extensible by adding hardware. 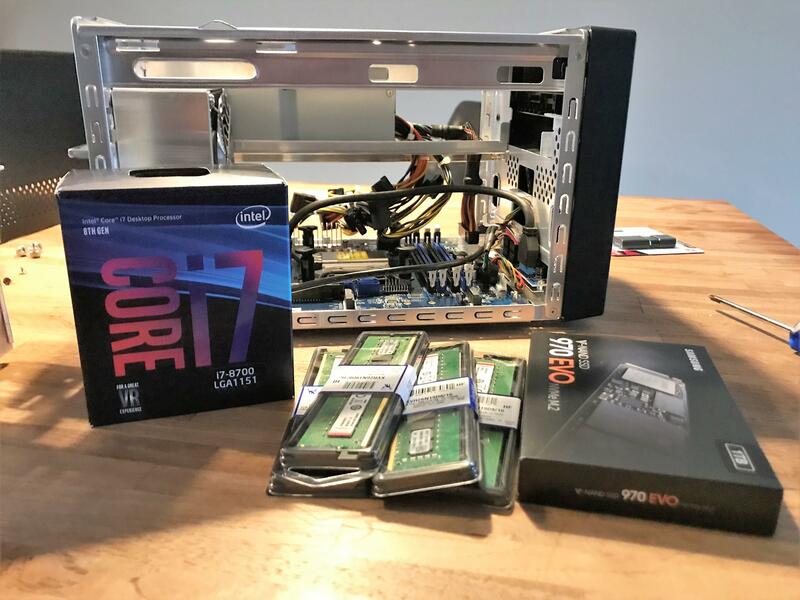 Using a 8th generation Intel I7 8700 with 6 cores and 12 threads with a TDP of 65 W is cost efficient and consumes less power but still having a powerful CPU (VMs with 12 vCPU are possible to create). The Shuttle Barebone System supports up to 64 GB memory. For a barebone is every unique on the moment. Most barebone systems supports a maximum of 32 GB on the moment! There is one M.2-2280M SSD slot for a NVMe SSD on the mainboard. 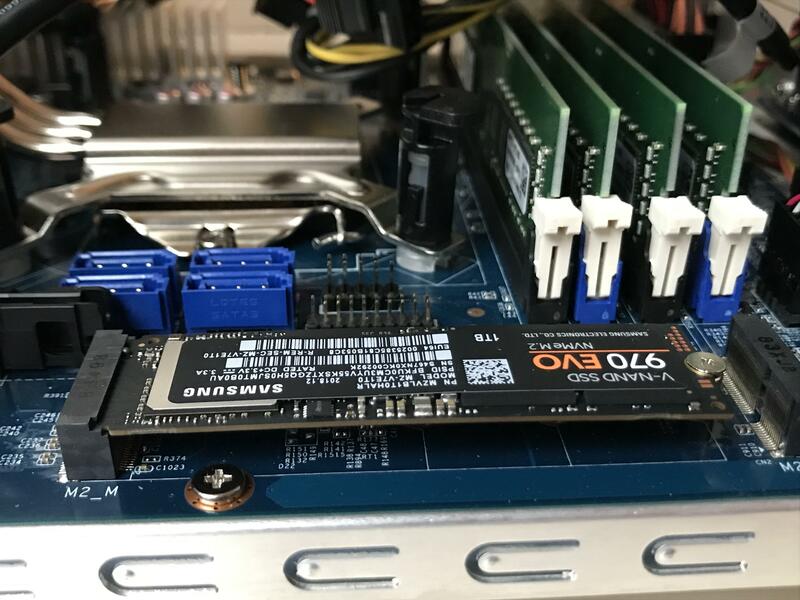 By adding a PCIe to M.2 adapter you can add an extra NVMe SSD. Great for a vSAN All Flash (AF) use cases. There is room for two 3.5″ HDDs. I didn’t test if the SATA controller are recognized by ESXi because I use M.2 SSDs and NFS storage. 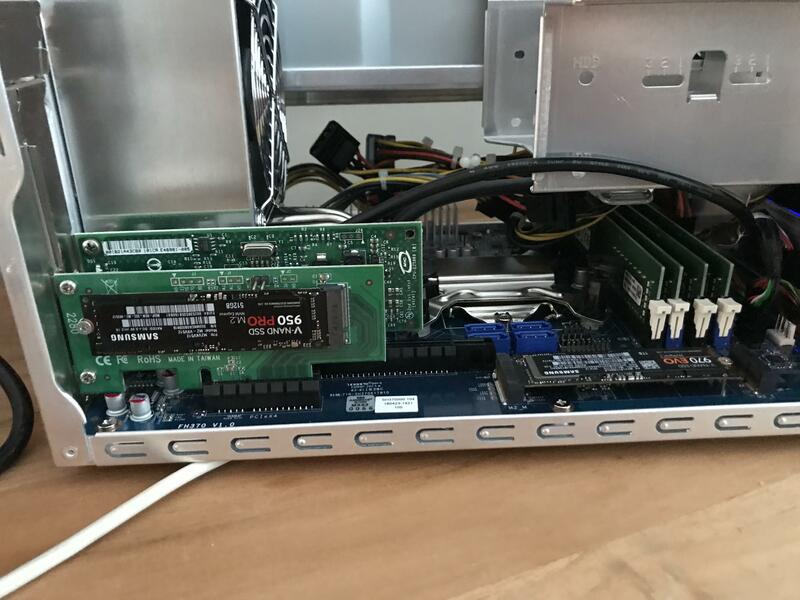 Two PCI-Express slots are available: 1 x PCIe X16 (v3.0) and 1 x PCIe X4 (v3.0). This makes it possible to add a GPU and 10 Gigabit adapter for example. When the load increases on the Shuttle the fan will make more noise (Smart fan mode ). This can be annoying when you’re in the same room. In the BIOS you can tweak the fan speed. For me this is not a problem because i’ll have a separate room the the home lab servers. The performance and user experience are fast, very fast! More information about the Shuttle SH370R6 Plus can be found here, link. I’m happy with my new home lab member, the Shuttle SH370R6 Plus because all my requirements are met and I really like to performance boost of the VMs. The new Apple Mini 2018 comes in two basic configurations. 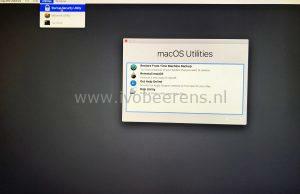 The basic configurations can be changed (CPU, memory, disk and Ethernet adapter) during the ordering process. Intel Core i7 3.2 GHz 6-core Turbo Boos 4.6 GHz 12MB shared L3 cache. Listed in the VMware Compatibility Guide No. So there no official support from VMware. No. So there no official support from VMware. (*1) There are two memory slots available. (*2) The 2018 Mac mini starts at € 899,00 with an i3 processor, 8 GB RAM and 128 GB SSD storage and 1 Gb Ethernet adapter. (*3) The 2018 Mac mini starts at € 1249,00 with an i5 processor, 8 GB RAM and 256 GB storage and 1 Gb Ethernet adapter. Is it possible to install and run VMware ESXi on the Mac Mini 2018? Yes with some caveats such as hardware that is not recognized. 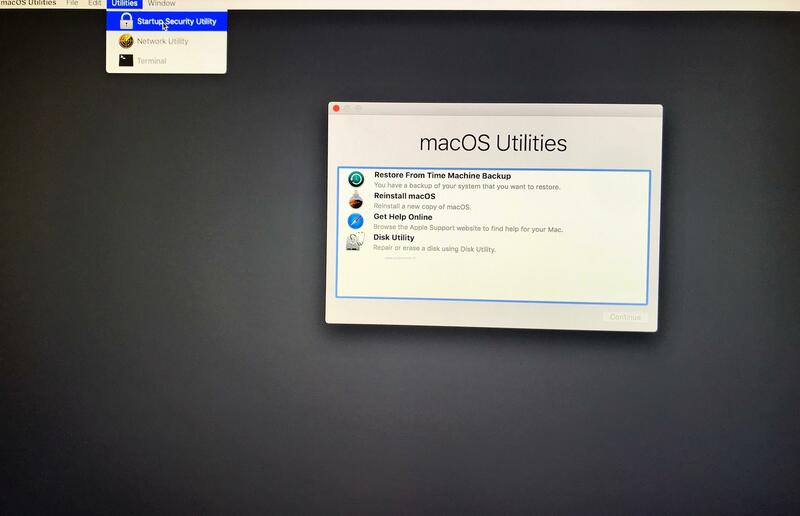 The Mac Mini 2018 model is installed with VMware ESXi 6.7 Build 10302608 (ESXi 6.7 U1). Creating a VMware ESXi USB stick is explained in the following blog post, link. The PCIe-based SSD is not recognized by VMware ESXi. 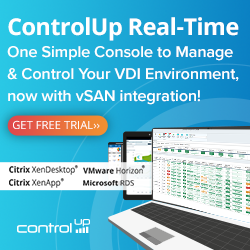 Create an USB key with ESXi installed. Select the “Startup Security Utility” in the Utilities menu. 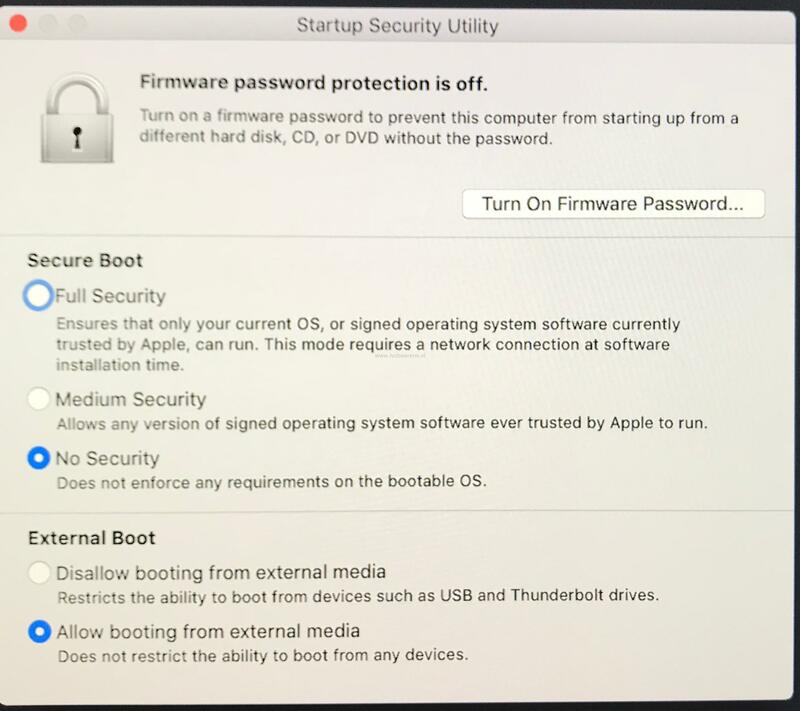 Choose “No Security” and select “Allow booting from external media”. 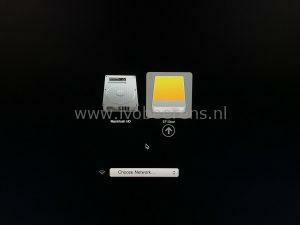 Press the power button on the back of the Mac Mini and keep the Option (⌥) key pressed for the Startup Manager. Select “EFI Boot” to boot the USB key. The USB key will start with the ESXi installation. 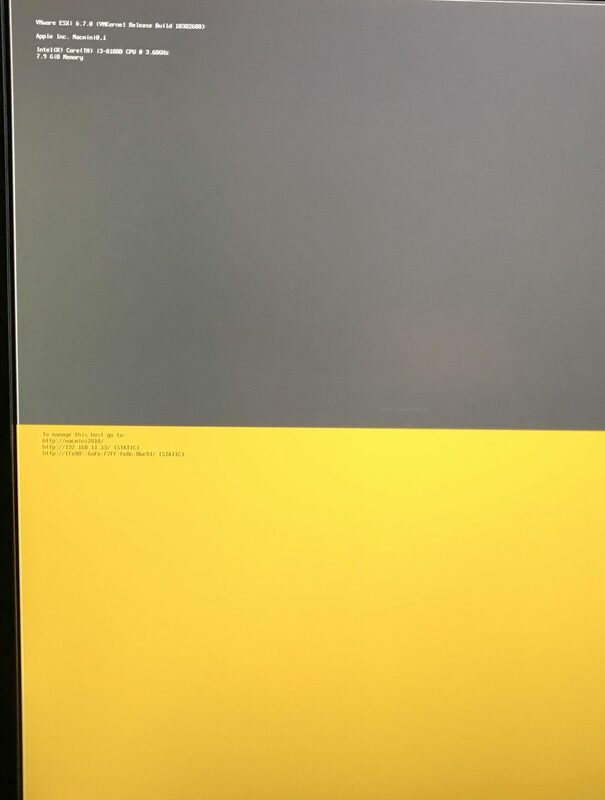 VMware ESXi 6.7 U1 is tested on the Mac Mini 2018 model with a USB stick to boot ESXi. 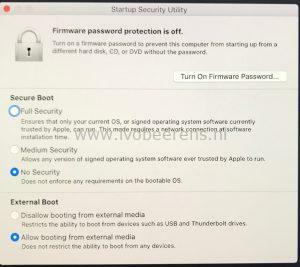 The new Apple Mini 2018 model includes a T2 security chip that use secure boot. Disable secure boot to run VMware ESXi. Around 50% CPU and 67% memory load will use around 35 watt. 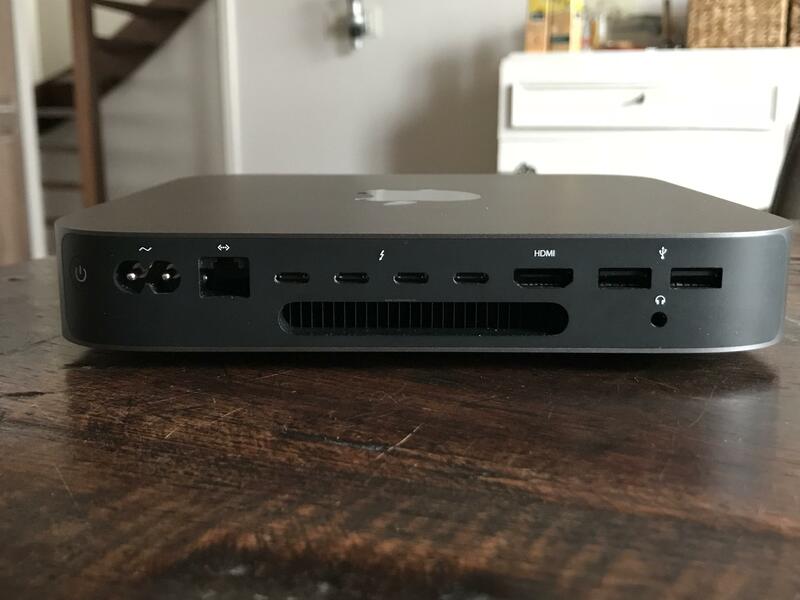 The Mac Mini 2018 comes assembled from Apple. The CPUs that Apple uses in the Mac Mini 2018 are based on Intel Coffee Lake 8th generation. 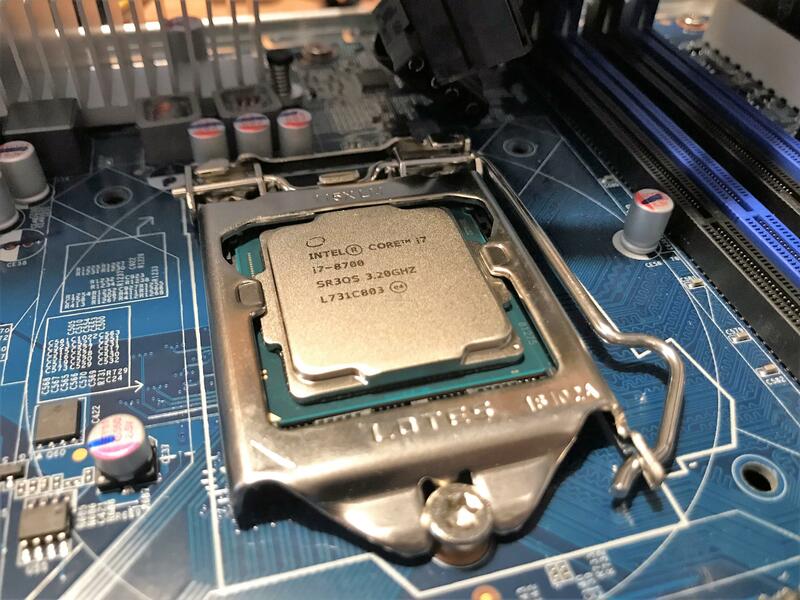 The CPU is embedded and not upgradeable! The new Mac mini allows for memory upgrades up to 64GB on two slots. The memory is it not soldered on the motherboard and is SO-DIMM based. 16 GB cost € 240,00, 32 GB cost € 720,00 and 64 GB cost € 1680,00 extra. To save money go for third-party memory from Kingston or Corsair for example. On iFixit a Mac Mini 2018 memory replacement guide can be found, link. The Apple storage in the Mac mini is PCIe-based and not upgradeable. So size the SSD for the future! The PCIe-based SSD is not recognized by VMware ESXi! The 1 Gb Ethernet NIC is recognized by ESXi as “Broadcom Corporation NetXtreme BCM57766 Gigabit Ethernet” adapter. The 10 GbE NIC is not recognized by VMware ESXi. The NIC is an Aquantia AQC107 and there are no ESXi driver on the moment. The Thundebolt controllers are not recognized by ESXi. The USB ports are redirected to VMware ESXi. A Teardown of the Mac Mini 2018 model can be found here, link. Power consumption Low. Between ~11w and ~40w with the i3 4-core CPU, 8 GB RAM and 128 GB SSD config and ESXi installed with 1 VM. Memory Up to 64 GB (2 memory banks) memory The memory from Apple is expensive (32 GB will cost € 720,00 and 64 GB will cost € 1680,00 extra). Go for third-party memory memory to save costs. Adding third-party memory means you need to dissemble the Mac Mini! Upgradeability Only the memory can be upgraded. The CPU and SSD are embedded, soldered and not upgradeable. Ports The USB controller and ports are recognized by ESXi. The Thunderbolt controllers are not recognized by VMware ESXi. When the Thunderbolt controllers are regornized great Direct Access Storage (DAS) solutions can be build. Extension There no room for adding add-on cards and extra disks inside the Mac Mini 2018 box. Only one Ethernet adapter as port available. Storage Use an USB stick to boot ESXi and use remote storage such as a NAS to boot VMs. The PCIe-based SSD is not recognized by ESXi. Pricing For a new homelab host I’ll need at least 32/64 GB memory. When buying the memory from Apple the pricing gets extremely high on the Apple Mac Min 2018. 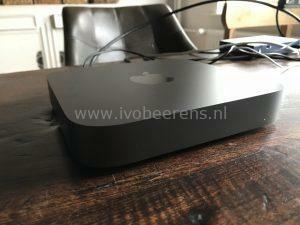 The new Mac Mini 2018 hardware specifications are a great refreshment compared to the old Mac Mini 2012 model, but it comes with a very high price for the most homelabers. The PCIe-based SSD, 10 Gb Ethernet adapter and Thunderbolt controllers are not (yet) recognized by VMware ESXi. I think there are better homelab options available on the moment for less money. After putting my NAS in a separate storage VLAN I noticed that my network throughput was slow to and from the NAS. The throughput of a simple file copy from a windows laptop (wired at 1 GbE) to a SMB share on the NAS was only 17,7 MB. The Windows laptop was on a different VLAN then the NAS. This config change can be done without a reboot of the router. After making this change the network throughput was as expected. So make sure to do some tests and check VLAN offloading in the Ubiquiti EdgeRouter (it’s default disabled).